Tnpsc Vao Previous Year Question Paper With Answers Download Pdf: Tnpsc Vao Exam Previous Year Question Paper With Answers Tnpsc are the most important materials for everyone’s Vao exam preparation. The candidates who are applying for the Government Jobs must prepare well to face the tough competition in the Govt Exams. We are giving help to those aspirants by providing the TNPSC VAO Previous Years Question Papers. In this page, the users will find the free downloading links of the Exam Papers which were previously conducted under the Tamilnadu Public Service Commission. Last 10 Years Questions Updated. The applicants of TNPSC Vao Jobs can get these TNPSC Vao Model Question Papers. Practice the Tamilnadu Vao Exam Asked Questions and finally verify your Answers with the actual solutions. We are providing these TNPSC Vao Old Papers as a reference for the applicant’s preparation. So, use them to know the level of TNPSC Exam Difficulty. [ Tnpsc Vao Exam Previous Year Question Paper With Answers ] Tnpsc Vao Previous Year Question Paper is given Below. Lots of People are interested in Govt Jobs ( Vao Exam ) in these days. Since, there will be huge competition for the Government Jobs. Every Govt Job ( Vao Exam ) has 1:10 ratio competition. So, the applicants need to have good preparation to get the Job ( Vao Exam ). To perform well in the Written Test, the applicants must take the help of the Previous Years Question Papers. You can also visit the Official Website of the particular board for the Previous Years Question Papers. Tnpsc Vao Exam Previous Year Question Paper With Answers. Tnpsc Vao Previous Year Question Paper is given Below. Here, we have provided the TNPSC Previous Papers of Vao Exam Last Years Exams. Applicants can download the Vao Exam Sample Question Papers from the below links. Start your preparation for the TNPSC Exam by practicing the Asked Question and verifying the Answers. These Tamilnadu Public Service Commission Exam Solved Papers will be provided just for the purpose of reference. Down loaders can take these papers just for the practice of asked questions. Much more TNPSC VAO Practice Papers will be updated soon. Tnpsc Vao Previous Year Question Paper is given Below. 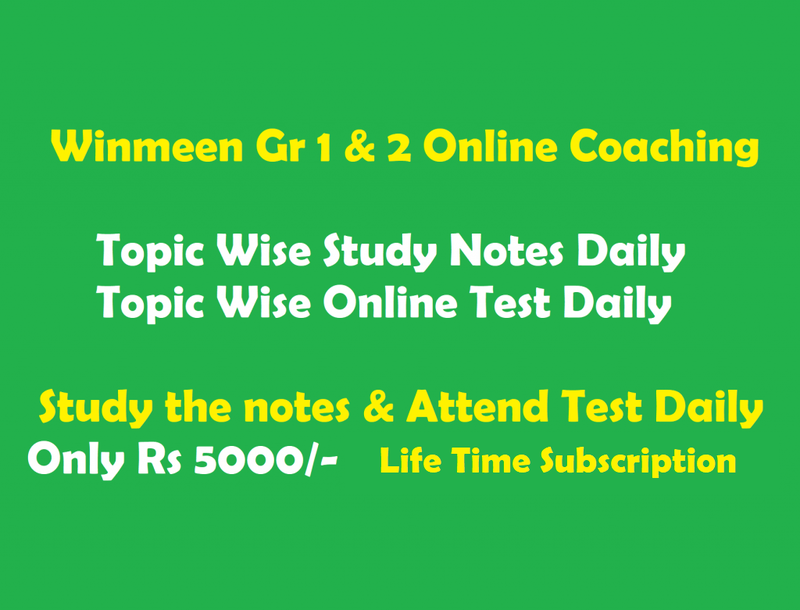 winmeen.com is providing the vao exam previous year question paper with answers pdf. Before going to attend the Written test, the applicants need to know the vao exam Syllabus, TNPSC Vao Exam Pattern 2017. You can download the vao exam previous year question paper with answers free download for vao Jobs Recruitment Tests by clicking on the appropriate links. vao exam previous year question paper with answers in english will help the applicants for proper preparation. Also, refer the Syllabus of vao Written Exam 2017 from the enclosed links. vao exam previous year question paper with answers in tamil free download for free of cost from the enclosed links. vao exam previous year question paper in english are the essential materials for vao exam preparation. Use these vao exam previous year question paper 2014 and vao exam previous year question paper 2016 Solved Papers to know the difficulty levels, asked questions and answers. vao exam previous year question paper with answers in tamil free download pdf 2016 general tamil, vao exam previous year question paper with answers in tamil free download pdf 2016 general english, vao exam previous year question paper with answers in tamil free download pdf 2016 general knowledge, vao exam previous year question paper with answers in tamil free download pdf 2014 general tamil, vao exam previous year question paper with answers in tamil free download pdf 2014 general english, vao exam previous year question paper with answers in tamil free download pdf 2014 general knowledge..
Hi.. Am unable to download any of the content.. Pls help me..
mam i am an tamil medium student.i want vao model questions with answer and vao,tnpsc 5 years previous question papers with answer.i am an housewife with 2 year baby.please kindly help me.